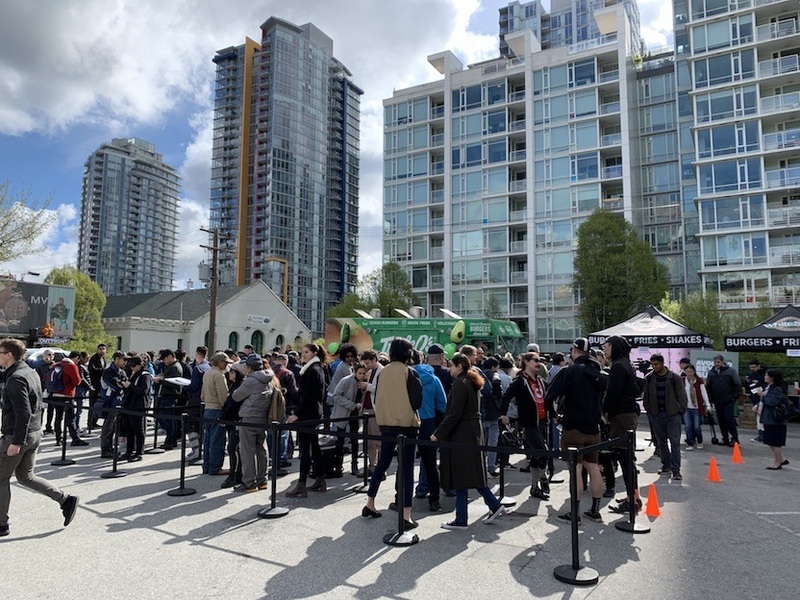 They say nothing good ever comes for free, but clearly, these folks waiting in line for free burgers do not agree with that sentiment. 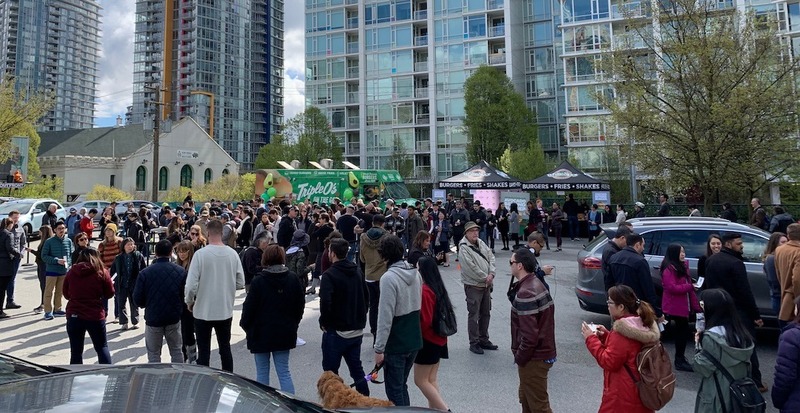 A HUGE crowd is currently waiting in a Vancouver parking lot at Cambie and West Georgia to get one of 300 free new White Spot Avocado Beyond Burgers up for grabs. One individual has been camped out by the food truck since 8:45 am this morning – that’s one seriously dedicated burger lover.